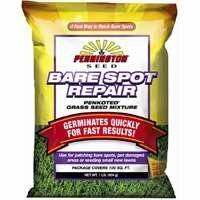 Use for patching bare spots, pet damaged areas or seeding small new lawns. Grass seed mixture germinates quickly for fast results. Germinates quickly for fast coverage.